Feed will stick with you. 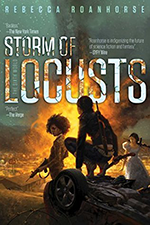 After you’ve re-shelved it and moved on to another title, you’ll still be thinking about Georgia Mason, her brother Shaun, the lives of post-apocalyptic news bloggers, government conspiracies and just how a zombie apocalypse might go down. It’s a lot to digest, and it is all given fair time in the 571-page Feed. Georgia was born after the Rising. She and her brother were adopted after two miracle cures mingled to create a virus which reanimates the dead. Their generation is accustomed to taking a blood test to enter the neighborhood, vehicle and home. They understood why people didn’t have pets more than 40 lbs., as those animals could have the virus amplify and transmit it to humans. Georgia and Shaun shouldn’t have been used to open spaces, to small crowds or to spending time outside of safe zones. But they both were. The two are part of a team of news bloggers. Georgia is all facts, she discovers the truth and reports on it. She’s the post-apocalyptic version of a gumshoe. (I’m pretty sure my favorite college professor would love Georgia Mason. She’d run most beat reporters into the ground.) Shaun is more of the Gonzo type. He’s the one who goes out in the field to poke zombies so you don’t have to; leads the dangerous life for you. And these two, with their friend and partner Buffy, manage to snag the prime placement on the campaign trail of a presidential hopeful. Senator Ryman is young enough to know bloggers are the trusted media these days, and by granting them full access to his campaign he’ll earn the trust of the voters. It doesn’t take long before it’s clear someone has it in for Ryman and his press corps of bloggers. Just who is behind the attacks is the big surprise. Grant managed to fake me out plenty in this one. Some of my predictions were right, some of them were so very wrong and while I was guessing who was behind the attacks on Ryman, his campaign and the blog team, I never saw some of the big twists coming. Shocking and sad moments are peppered throughout this novel, and both are handled with grace, honesty and a realism that can be a bit haunting. The landscape presented in Feed feels real. 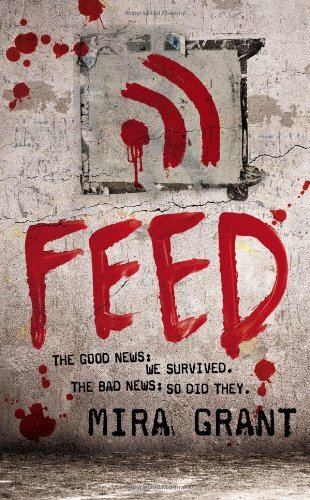 While zombies are a catalyst for much of the plot, really Feed is about fear and what happens if you let it take away your choices. We always have options. They may not be good ones, and may not lead to a happy ending, but we always have a choice. Also, a word of warning for your time-management, once you hit about page 250 prepare to run the gauntlet. It’s the point of no return; the shift when you realize you will not be stopping for more than a bathroom break for the next few hours. It’s masterful work. On a personal side note: To my friends still at newspapers and those who have shifted to being news bloggers, read this one. Not only will you feel a kinship with these reporters, but it’ll remind you that no matter how many times you’ve had to track down politicians, at least there weren’t zombies attacking while you waited with the press corps. Wonderful review, just awesome, girlie:) I’m so glad you loved this as much as I did! Wow. Sooooo rad. I was gifted this book and I really need to read it pronto! It was excellent, Ash. Great world-building and strong themes. 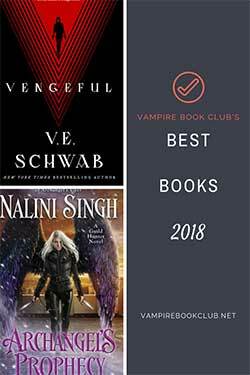 If you already have a copy, move it up your TBR. Trust me on this one. Nice! I really really want to read this one. I love the tag line on the cover. So catchy, and makes it even more intriguing. I loved this book and i can not wait for the next installment!! This sounds fantastic, even though zombies aren’t usually my thing…. I completely get the zombie hesitation, but the world-building, character development and major themes in this one are truly excellent. I just finish this and every aspect of it was awesome. Even though it was fiction, the realism blew me away. Once I got about half way through it I could not put it down.